I think the safest thing would be to hire an electrician WITH SOLAR EXPERIENCE to check it out. Poking around in a several-hundred-volt system with a multimeter is not MY idea of DIY. LOL, not doing any poking around as of yet, just trying to find an obvious solution to this problem. I installed this whole system myself, I have yet to have an electrician do any work on it but if worse comes to worse, that is what I'll do. 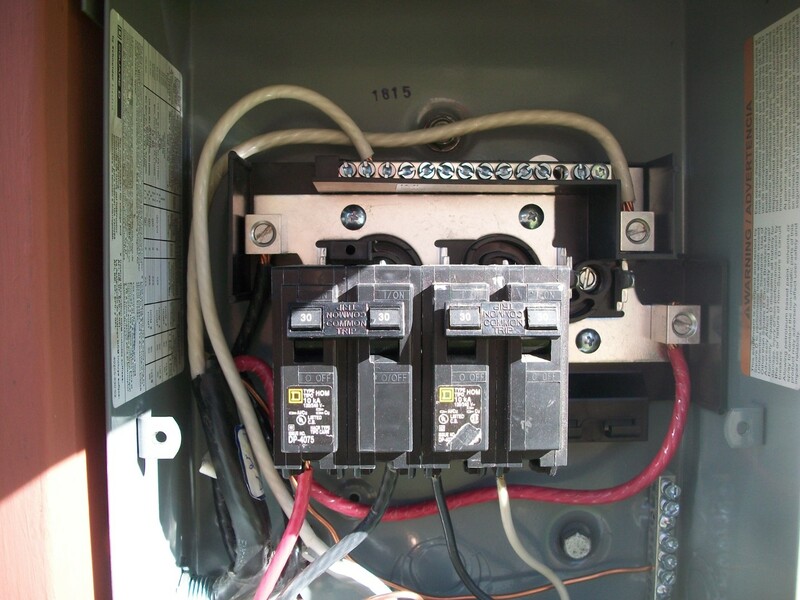 IMO this is a very simple system, there has to be a simple answer, unless the fault lies in the inverter. I'm in contact with KACO, the manufacture of this inverter but they are pretty slow with their responses, so I'm looking elsewhere. Once I figure this out I'll post here what the solution was but in the meantime, thank you for your suggestions. I'm not familiar with the inverter but to my mind the problem is external, very possibly a mis-connected wire. When you find it you'll kick yourself. I can only hope that you are right and that is what I think as well. I did get a reply back from the manufacturer and they did say that there is a relay that could be causing this problem. Since there is only three wires, other than the ground, that connect to the AC side, it could be that one of those wires is connected wrong, guess I should take a pic of that as well, maybe someone will notice something hooked up wrong. OK, here is a pic of the DC side where in connects to the circuit breaker. Without a wiring diagram, the photo is pretty much meaningless. Well after looking it over with a fine tooth comb, I finally figured it out, with the help from a neighbor that has done this himself a couple of times. I had the negative wire in the PE position, just one hole off but it was what was causing the problem. Seems to be working fine now. Thanks for everyone's help. 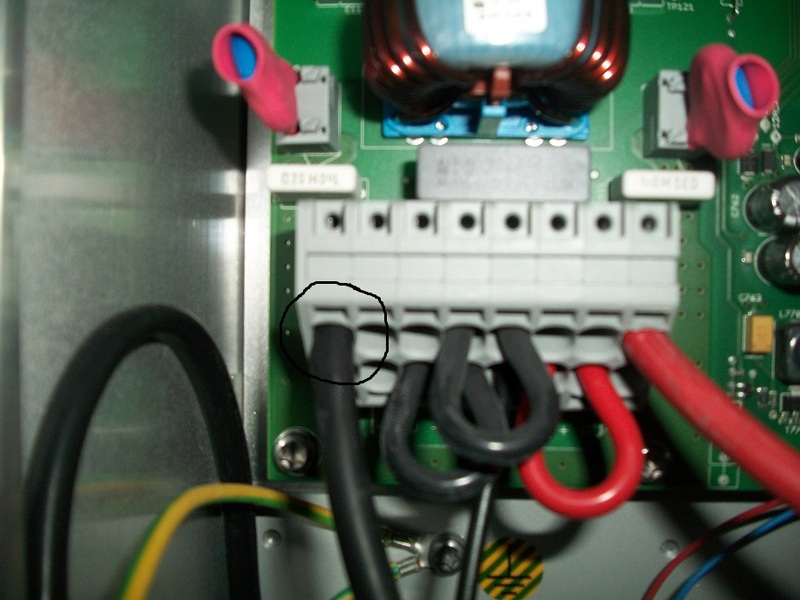 Here is a pic of the spot where I made the mistake, the wire circled in black, should have been one hole to the right. Could have been worse. You could have let out the magic smoke. LOL, isn't that the truth. I figured it was something simple, just glad no damage was done. One of those kick yourself moments.... Glad you found it and no harm is done!